I know where that spot is. It’s right in front of the Mishka Harajuku store. Marco’s not only sponsored by DART and Mishka in Tokyo, he also works at the store. That’s dedication! 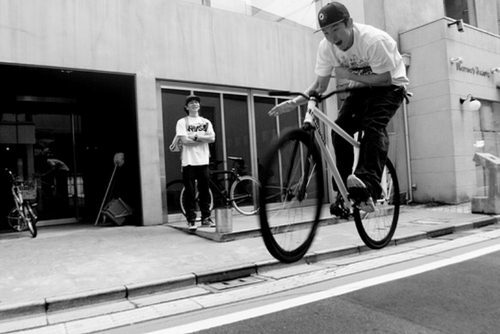 Check out a nice bar hop on his Durcus One frame. Love the facial expression!